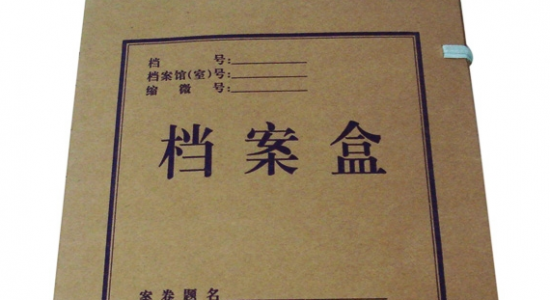 A review of the Foreign Ministry Archives of the People’s Republic of China (外交部档案馆), Beijing, China. Ed. Note: Please see important update on the FMA, written by Arunabh Ghosh in Summer 2013. The Foreign Ministry archives of the People’s Republic of China [website here] first opened to the public in 2004 and continues to declassify and release documents periodically. As of August 2011, documents from 1949 to 1965 have been opened to the public. These include telegrams, speeches, records of talks, information collected on foreign countries, and reports created before and after official foreign delegation visits. A more general introduction to archival contents currently available to the public can be found online, as can a subset of the mulu. I began using the archives in May 2011 while pursuing materials related to sports and diplomacy in the early People’s Republic of China. Based on previous research, I was looking for documents related to specific sports delegations and events that took place in the late 1950s and early 1960s. As it turns out, I found more than enough at the archive on these exchanges, enough to study larger shifts in sports relationships over the entire 1949 to 1965 period. For example, some of the most interesting documents have been summary reports (jianbao) of traveling delegations in China. These often contain reactions of athletes and leaders to, among other things, visits to factories and agricultural cooperatives. A section on “issues” or “weaknesses” also usually includes dialog among leaders, problems with factory workers who need “more political thought,” managers who cannot recite statistics, and food or lodging complaints from guests. Located near the Chaoyangmen subway stop in Beijing, the archives are currently located in a building next to the gate adjacent to the second ring road. Opening hours are Monday-Thursday 8:30-11:30AM and 1-4PM, and Fridays 8:30-11:30AM. The archives strictly adhere to these opening and closing times as well as the afternoon xiuxi. All researchers must leave the room at xiuxi and the doors remain locked until 1PM. Approximately ten minutes before xiuxi (11:20AM) and the end of the day (3:50PM), computers display a warning that ten minutes remain before they will shut off. Each day, after a simple security check and verbal statement of purpose (“the archives”), I proceed to the sixth floor of the building located directly in front of me, greet the archivists, and choose a computer to sit at for the day. The room is quiet and spacious, with about twenty PCs, large monitors, wide desks, and comfortable swivel chairs. Rarely am I required to put any of my things in a locker located in the same room (very few people use them). On a crowded day there might be 12-15 people using the computers, but normally the number falls closer to 5-8. All of the archivists are all hospitable, professional, and considerate. The initial process for getting into the archives is not terribly difficult, as long as you have the correct documentation. Chinese citizens only need an identity card. As a foreigner, I needed my passport as well as either a certificate (zhengming) or a letter of introduction (jieshaoxin) from a Chinese work unit (danwei). The first day I completed the registration process on a computer, including stating my current address, danwei, and short project description (mine was brief and vague), and chose a username and password that I must use each time I want to use any of the computers. Several foreign scholars who made return visits to the archives between April-July 2011 informed me they had no problems coming back after a hiatus of at least one year. At least one scholar, however, did need to present his passport again. When asked for his introduction letter he simply stated, “I’ve been here before” and that was good enough. Keep that username and password in a safe place! There’s a water dispenser and cups in the same room, and there seem to be no issues bringing in one’s own beverage to consume while working. During the long xiuxi, lunch and drink options of varying price ranges and qualities can be found close by, including KFC and McDonald’s, restaurants and food courts in three different malls, and a large Starbucks with free wifi located in the Fenglian (丰联) mall. All documents have been digitized and I have found that the easiest way to begin a search is using the keyword option, although this only searches the title field. There’s also an option to search by record number, country, or specific year(s). After locating initial records numbers, I often search for related juan by appending the number with a “%” in the search field. For example: after using the keyword search to find the record “109-03439-03”, which contains documents associated with Bulgaria, Taiwan, and the Tokyo Olympics, I then searched on “109-03439%”, which brought up other juan containing documents of Sino-Bulgarian relations in 1963, including the “109-03439-01” juan regarding “cultural collaborations” (wenhua hezuo, where I often find tiyu documents) between February and September. There is a strict no-photography rule at this archive reinforced by a large sign on the wall (except, apparently, when local youth groups come in for a tour of the facility and start photographing the foreign researchers) and surveillance cameras monitor most of the room. The first time I whipped out my iPod touch I was closely watched until they realized I just wanted to listen to music while working. As of August 2011, most documents cannot be printed. Next to each computer is a long list, dated January 2010, stating what cannot be printed, including telegrams, records of talks, instructions given to the foreign ministry by the Central Bureau and State Council regarding what appears in newspapers from the State Council and Central Bureau， summary reports produced by embassies and consulates stationed abroad, any documents signed by Mao Zedong, Liu Shaoqi, Zhou Enlai, Zhu De, or Deng Xiaoping, and any documents “not Foreign Ministry” (非外交部文件). According to one American scholar who finished his dissertation work two years ago and returned to the archives in June 2011, prior to January 2010 he could print anything except for documents signed by the above-mentioned leaders. Despite all these rules, I have found there to be a little bit of room for interpretation. For example, if a document is not clearly marked or stamped by another bureau outside the Foreign Ministry then it can probably be printed. After selecting a page to print the archivist always reviews my selections and decides whether or not they can be printed. If there’s not a problem, then each high-quality copy costs 5 RMB and must be paid promptly. They always provide a receipt. In my personal experience, since the hours are short and the majority of my documents cannot be printed, I spend most of my time typing or hand-copying information. Generally speaking, working in this archive has been a pleasant experience, with the only quibble being the duplication policy. My advice to others is to either allocate enough time for a longer visit or follow what some Chinese and non-Chinese researchers seem to do: locate the documents needed and then hire one or several local Chinese assistants for transcription.